Let's not lie, who has never at some point accumulated so many cosmetics samples that you could actually make a soup from it? Or at least found it hard to throw away because, who knows, maybe someday these will be useful – well, that's what I tell myself too often. 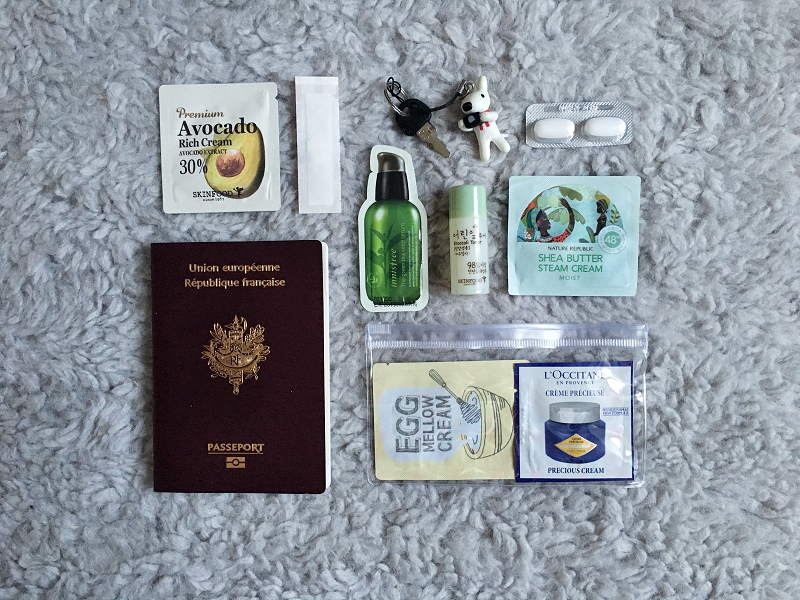 When I came back last year from living 5 months in Seoul, I litteraly brought a full A4 envelope of tiny lotion bottles and creams in 5x5cm squares. 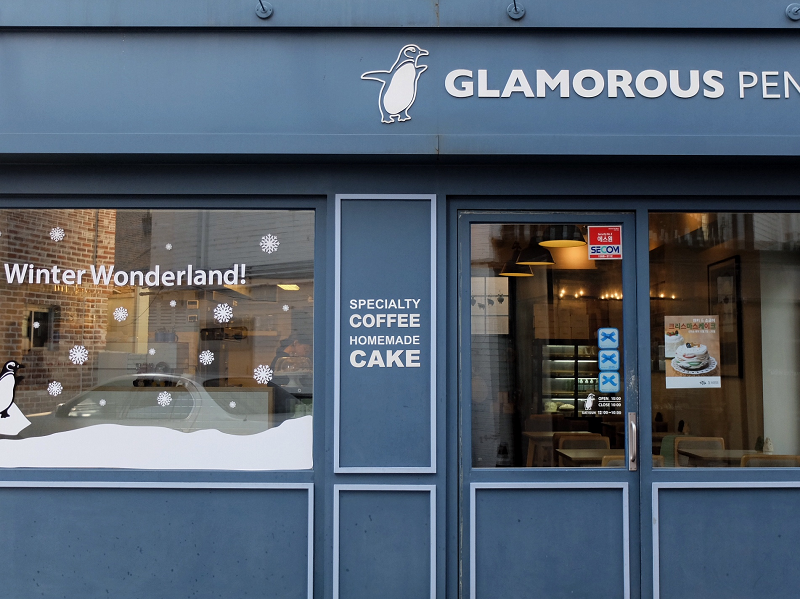 Months later? I was still keeping them in there, not using a single of them. 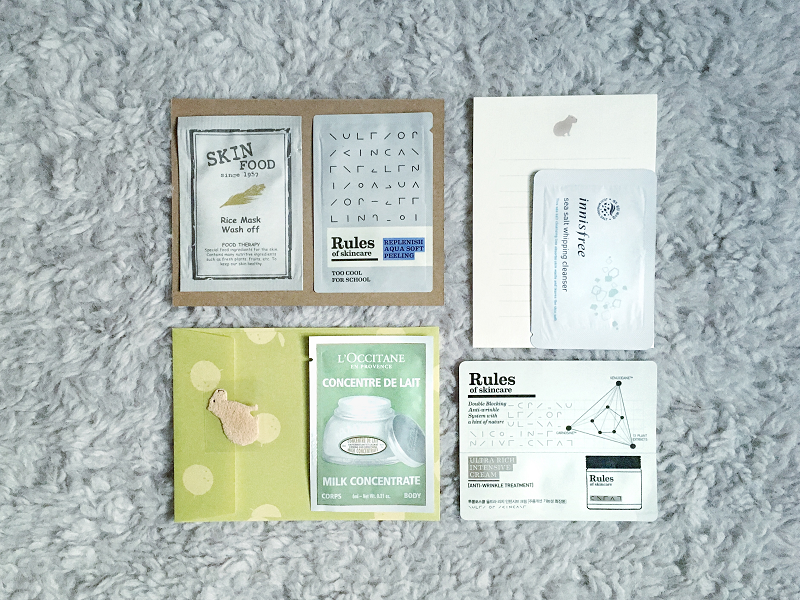 So one day I decided to sort them all correctly (was I under carbohydrate from a piece of brownie, maybe), but from then I started using more and more all those skincare and makeup samples, and found out they actually are pretty clever allies. It is important to start from there. I think the more organized you are, the more you want to try and use the samples. 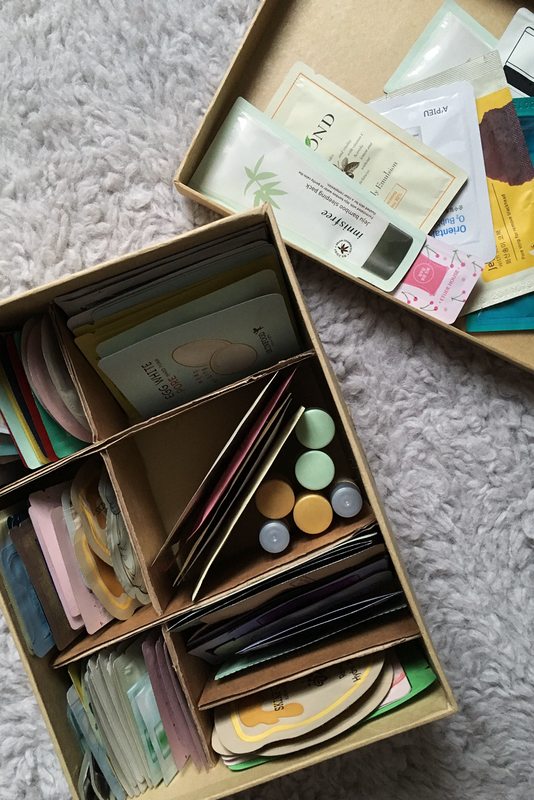 You obviously can't know every single sample you have, so sorting them by categories will help you finding a product you're looking for, when you feel like trying something different from your usual cleanser for instance. Maybe it will take a bit of time sorting them, but it will definitely save you a lot later. Just sit on a comfy cushion, spill everything on a rug and start making groups of samples. I divided mine into 7 categories of samples*, but you can come up with lot of cool combinations according to how you want to use them. Now this being said, you'll need a box and some MacGyver skills (or else online shopping skills will do). 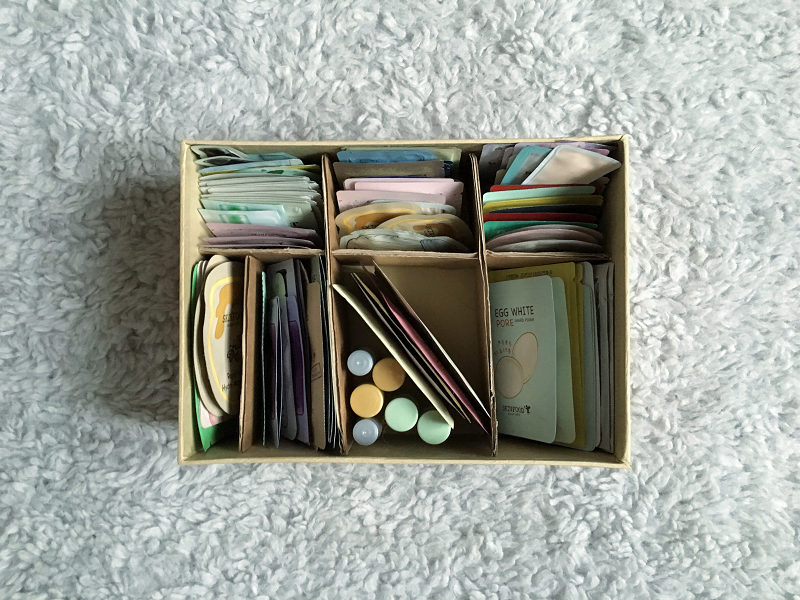 You can find some very easy youtube video to make a compartment box with cardboard -what I did, and I'm usually not good at DIY things so this is totally manageable - using a lovely box or keeping it classic with cardboard brownish color. *my own categories: essence and toner / facial cream / everything makeup / cleasing -(foam, oil, wash off) / sleeping pack and gel mask / body cream, butter, soap / everything left with a too large packaging to fit in other compartiments. Samples can actually be life-saver. That's what I learnt on a short trip with a friend, one night in a small guesthouse, no bathroom products provided. How happy was I to have brought along a soap sample and some wipping tissues to clean our face. Samples are great when you're away from home for one or two days, or leaving on a little journey. It takes no space in your bags, avoids you carrying large bottles when you need only few drops. Result: you travel lighter and smarter. 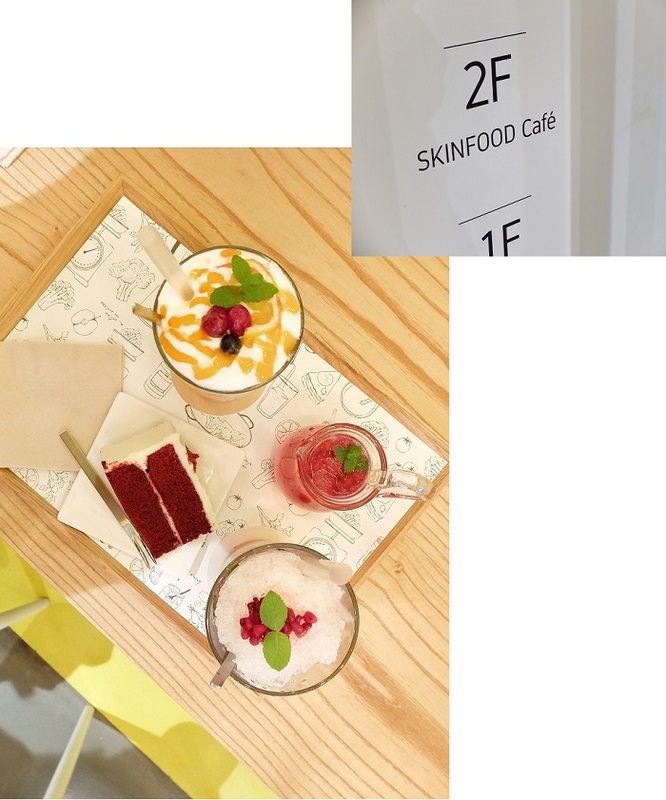 Makeup samples are also very handy when you crash at your friend's, no need to bring that bottle of liquid foundation (thumbs up to brands that give BB cream or foundation samples, you make our life easier). 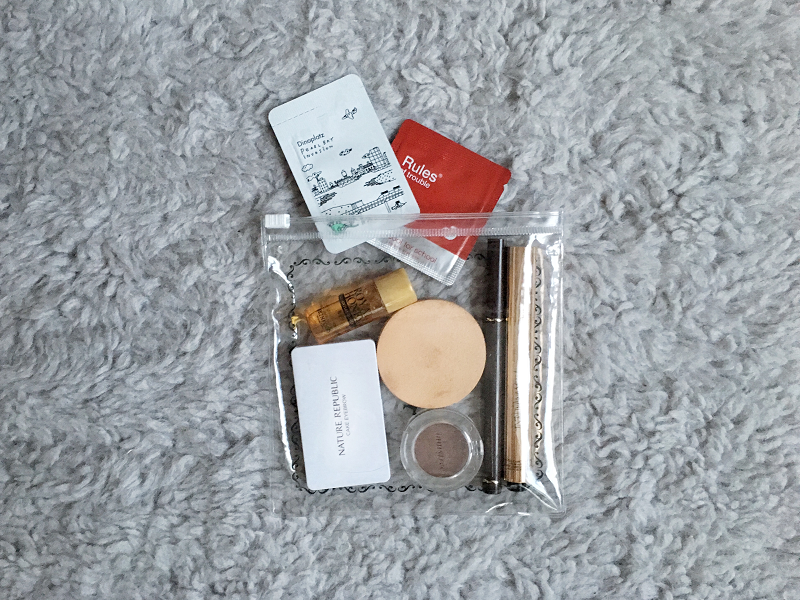 A lot of brand now sell travel-size products for everything – which, hum, are convenient but tend to be slightly pricey..., so before buying them, take a look into your samples box, you may find some that will save you a trip to the grocery store. Has this ever happened to you before? You're sitting on the plane, quietly watching the last movie Jake Gyllenhaal stars in, and the woman next to you - the kind of beauty guru who can't skip her skincare routine - takes out a sheet mask. Ok, maybe a super good, moisty, fresh jasmin smelling sheet mask, but she's putting on a sheet mask. In the plane. A sheet mask. However she's got a point. Your skin gets very dry because of the cabin air and it is important to moisturize it. If you're as shy as me to put on a sheet mask in front of hundreds of strangers, then serum and cream samples are your solution. Easy to carry in handbag, take only a minute to pamper your face, leaves a fresh, dewy touch after cleansing. This maybe won't feel same as nourishing your skin for fifteen minutes, lying in bed and drinking tea, but you'll still feel way more relaxed in plane thanks to these tiny cream samples! If you have to class them on a mandatory list, this one would probably be very close to the bottom. Giving cosmetic samples as small gift. But I love doing it. No shame. It is always great to add one more small gift to a birthday present, you won't have this so-you-got-me-only-one-present look *just kidding*. It can help adding a more personal touch. If your friend is addicted to a certain scent for instance, maybe she loves anything tea-y, then why not making her smile with this little green tea essence sample? Also, it is nice to add to notes or small letters. It makes it sweeter. Thanking a colleague for something they've done for you, apologizing for that time you were thirty minute late to a friend appointment. I personnally think giving samples is like a small gesture of your heart. It's between the nothing and the too much of giving flowers to some occasions. Sweet, small and useful. Is there any other ways you use your samples? or just drop a note to say Hi!